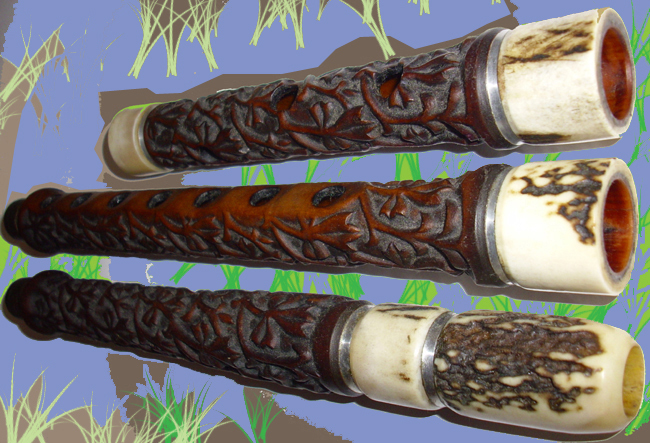 This Bulgarian traditional instruments are unique, handmade as traditional technology was used by one of the best masters in Bulgaria, Victor Terziyski.The mouthpiece and joints are made of deer horn, all decorated with metal rings.EXCELLENT QUALITY instrument! PROFESSIONAL HAND MADE INSTRUMENT! On the picture up you see all of instruments which are Victor`s creation.You can choose the color of the Kaval and also to order the instrument in different key.The master can engrave some initials on it as you wish..It takes about a week. 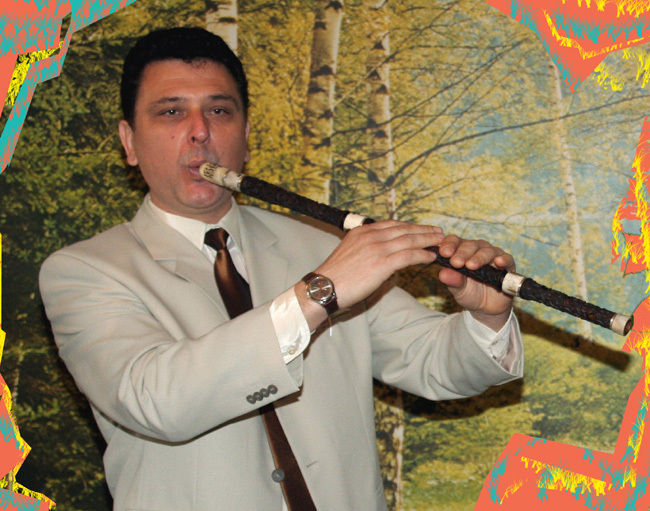 The Kaval is one of the most mobile Bulgarian wind instruments. You can play easily diatonic and chromatic passages on it, jumps at great intervals, staccato, arpeggios and shakes. Compared to the other musical instruments, it allows for huge modulation deflections. Dvoianka is a wind musical instrument in the form of a rectangular prism with tow parallel channels. The one channel sets the tone, and the other on which the six holes are situated reproduces the melody. 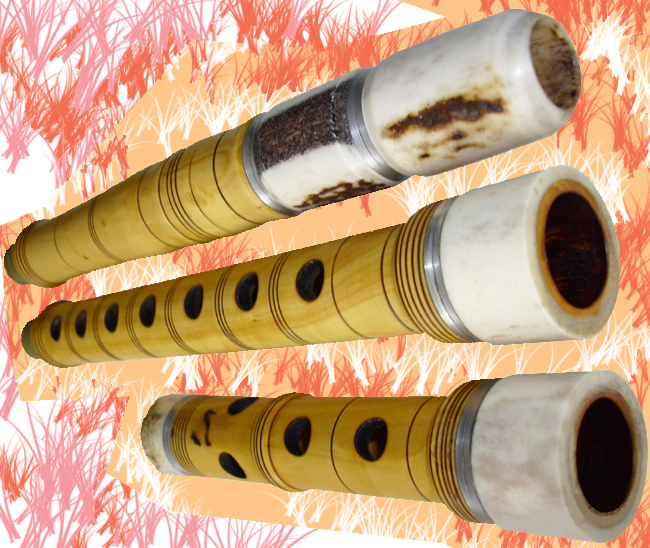 This double flute is also called "the little bagpipe". Its made from plum tree, cherry, pear tree, maple, ash, beech, oak or corneal tree. 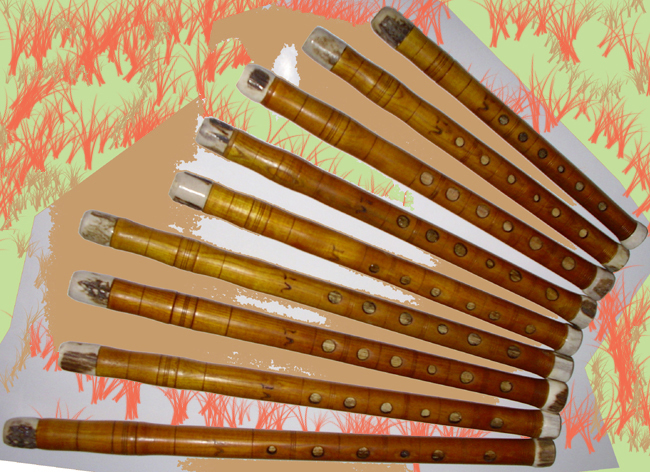 The music which play double flute has a very peculiar colouring. A Bulgarian folk wind musical instrument. This is a straight flute with whistle orifice. Duduk is easiest to play on in technical and musical respects. 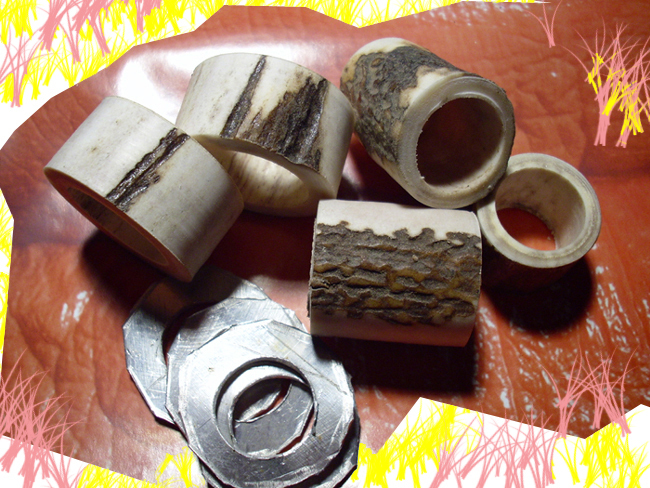 It is a pipe made of wood with six holes. 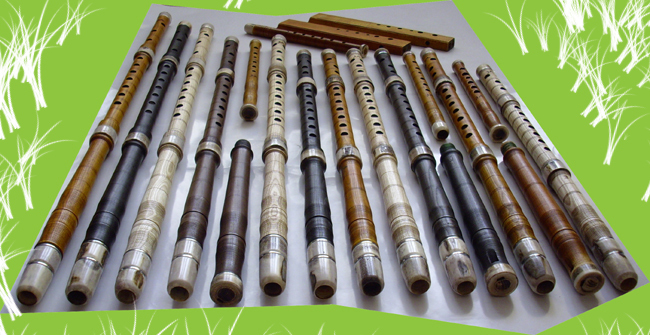 Its structure is the same like that of the flute and its tonal capacity includes tow octaves. Its produced from plum-tree, cherry, pear-tree, maples, sycamore, or corneal tree. 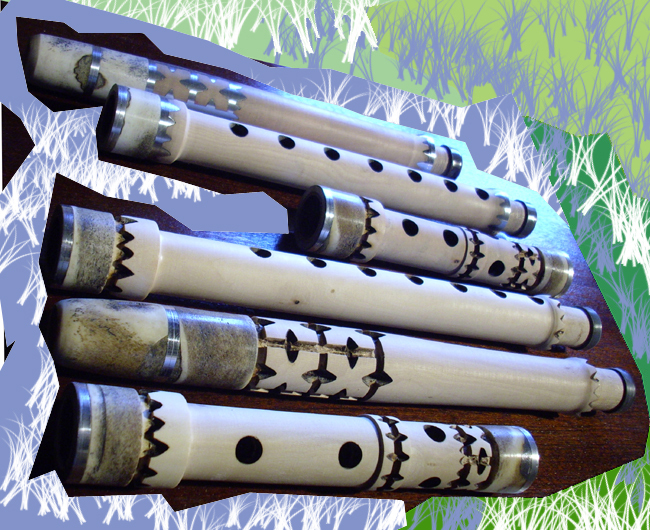 This is a wind instrument with seven finger- holes, six on the upper side and one below. In the front part there is a bone orifice and the sound formation is the same as with the Kaval. The capacity of this instrument includes tow octaves. It is produced from sycamore, wild cherry, wild pear-tree, or corneal tree. 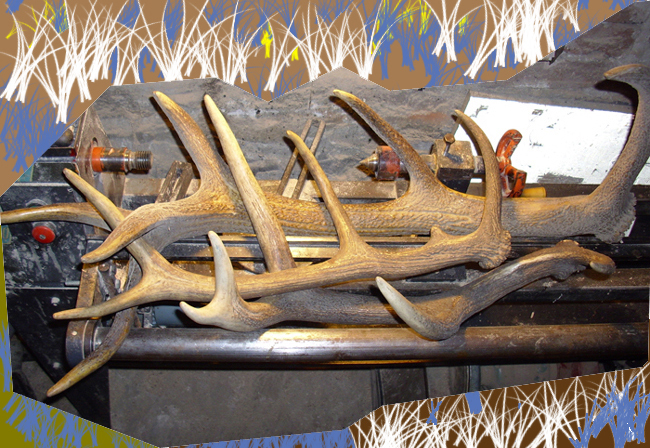 Its total length is from 250 to 500 mm. It is produced in all tonalities. KAVAL SIMPLE " E " " D " " C " " H " " B " " A "
KAVAL - INLAY " E " " D " " C " " H " " B " " A "
KAVAL - KARVING " E " " D " " C " " H " " B " " A "
KAVAL + DUDUK " E " " D " " C " " H " " B " " A "
DVOIANKA SIMPLE " D " " C " " B " " A " " G " " F "
DUDUK SIMPLE " D " " C " " B " " A " " G " " F "
TSAFARA SIMPLE " E " " D " " C " " H " " B " " A "
"My name is Victor Terziyski. When I decided to create the blowing musical instruments: kaval, duduk, dvojana, tsafara, I didn`t know, that this work became my second profession, because I`m originally an actor. That work was my hobby. These instruments which are made of woods called "drian" and "chimshir" are typical for the Balkans and especially for my country Bulgaria. I have sold more than 850 of my instruments all over the world until this moment. And I`m glad, that my gift which is God creation brings so much happiness to the people who are playing on my instruments. I made them with love."